I believe Hong Kong has great potential. However, although we drink the most wine in Asia (an annual 5 litres per capita), which is double that of the Japanese and five times as much as the Mainland Chinese, we are still trailing far behind other countries—only half of what the Americans drink (and 50% of Americans do not drink alcohol at all for religious and other reasons). Wine consumption in Hong Kong has been increasing ever since our Government abolished wine duties in 2008 but the growth rate is not fast. I, and most of us in the wine industry, drink over 100 litres per year, meaning that each of us is drinking for 20 people! I see two issues in Hong Kong: there are not enough real consumers, and those (I mean real consumers) who drink do not drink enough. 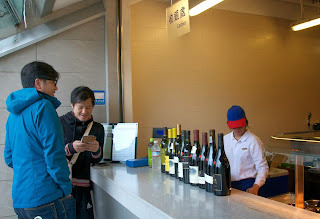 The challenge to wine producers, therefore, is how to persuade the average Hong Kong consumers to drink more. From a marketing perspective, Hong Kong is different from other countries. Whereas in most markets the entry level segment is the biggest, that is not the case in Hong Kong. We have a disproportionately big luxury/investment wine category at 28% by volume. And the biggest market by far is the mid-market, from HK$120 to HK$600 per bottle retail, with 60% (Debra Meiburg MW 2012 Hong Kong Wine Trade Guide). So for consumers who are interested in wine, price seems not to be a major concern. This might be explained by the ‘work hard, play hard’ altitude of most Hong Kong residents. We reward ourselves. Just look at the number of Michelin-starred restaurants in the city, and they are always full. It seems that, unlike in other cash-strapped cities, Hong Kong people are willing to spend. So why don’t more people drink? What it boils down to is that people just don’t understand wine. And, we in the industry don’t make it any easier for them. We talk technical stuff like tannin and acidity and we make them feel stupid if they can’t pronounce ‘terroir’ properly. In other words, we put consumers off wine by being too professional. To make wine truly popular, we need to make it enjoyable. Coke is a highly precise drink with the exact same amount of syrup and pressure in every can, but the company doesn’t bother consumers with this. Consumers enjoy Coke because it is refreshing and they explore the different flavours and brands of soft drink to find their favourite. Starbucks didn’t lecture us about the correct temperature at which to drink coffee when they first came to Hong Kong, and now see how many coffee bars there are here! Wine may be slightly more complicated because of the many grape varieties and producing countries but it’s not impossible to make it simple and accessible. How about light and refreshing, soft and fruity, chewy and spicy, bold and savoury? These are descriptors that any consumer can grasp and imagine. We don’t have a wine culture but we can develop one. We love food and we understand flavour pairings—look at all the different kinds of chilli sauce we have. So food is the logical key to introduce wine to consumers. But not those stiff, technical pairings that again put people off. 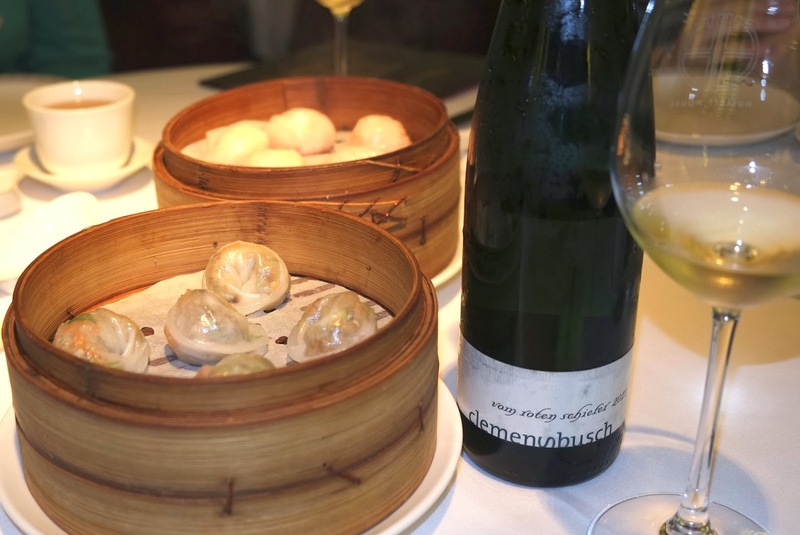 Fongyee Walker, a friend and wine consultant based in Beijing, says that the Chinese always describe a meal as being comfortable or uncomfortable. They like enjoying food with friends and without worrying too much about manners. Food and wine pairing gives an excuse for consumers to try wine in a relaxed environment and build their confidence. 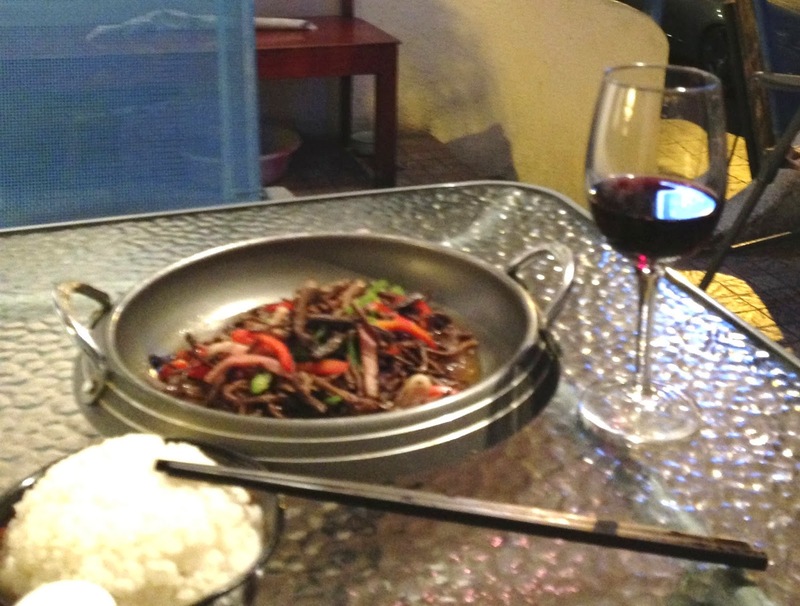 A Chilean Pinot Noir can be just as good as a Barossa Shiraz to match with stir-fried beef with noodles in black bean sauce. It all depends on the individual consumer’s preference. We eat Chinese meals most of the time but, sadly, not many mid-market Chinese restaurants offer wine. I hear lots of excuses, but I wish and hope that Chinese restaurateurs will one day soon realise the potential of having wine on the menu. The wine list doesn’t need to be long and winding—six to eight is adequate to start with—but the wine must be of good quality. People may not be able to tell the difference between wine varieties, but they know when a wine is not good. For me, a wine by the glass programme is the ideal way to start. It’s all about quality, not quantity. And in fact a few pioneer outlets have already demonstrated that having wine available not only increases their turnover but also customers’ loyalty. We didn’t drink cappuccino 20 years ago, yet now the espresso machine is a trendy home appliance. I believe it’s only a matter of time before wine will be a normal item on the dinner table. After all, it’s a much better match for food than lemon tea! The industry must unite to develop the wine culture. This is the only way to sustain a heathy market, benefiting everyone from producers and importers to restaurateurs and consumers. The partner country of this year’s Hong Kong International Wine & Spirit Fair (HKIWSF) was Spain. Spain has come a long way over the past few years. Although most Spanish wine is still in the entry level segment, there is more and more mid-market wine being exported to Hong Kong thanks to the continual efforts of the Spanish Trade Commission and various regional wine boards. This is reflected in the latest statistics. In the first eight months of this year (Jan-Aug 2013), the value and volume of overall wine imports to Hong Kong were down by 1% and 2% respectively because of the economic slow down (source HKTDC), but Spanish wine imports were strongly up—volume increased by 35% and, still more impressive, value was up by close to 50% (source: Spanish Trade Commission). This is good news because Spanish wine deserves more attention. Most of us know of Spanish red wines such as Rioja, Priorat and Ribera del Duero, but there are also some very good white wines from the cooler Rias Baixas (Albariño) and Rueda (Verdejo, Viura and Sauvignon Blanc). Like Portugal and Italy, Spain has its fair share of native varieties though most are not available here. If you want to have something different, try Mencía and Juan García , both elegant and fragrant with the former quite similar to Cabernet Franc from northwest Spain. They typically used to be high yield and diluted but the new generation winemakers are making some serious wine from old bush vines. Of course there is also the underrated sherry. Sherry lacks the obvious fruit aromas but it is very versatile and food friendly. And if you want an affordable good quality sparkler, Cava never fails to deliver. Being this year's partner country of the HKIWSF, Spain also co-hosted a Spanish theme gala dinner on 7th November with food prepared by The Spanish Chef Association in Asia. The Association was initiated by Alex Fargas, chef de Cuisine at Fofo by el Willy, in 2012 and now has over 20 members in Asia. Its objective is to promote Spanish gastronomy, culture and products, and it aims to be the bridge between authentic Spanish cuisine and local expectations. I believe this is definitely the right direction to take—bundle food, wine and culture together. Asian, especially Chinese, spend more time eating than drinking. Alex says his restaurant is full every day, and perhaps this is one of the reasons why Spanish wine is getting popular as well. According to OpenRice, there are now over 50 Spanish bars and restaurants in Hong Kong. Seems that Hongkongers definitely have a palate for Iberico ham and paella! What a surprise to have tasted Chateau La Connivence, the labour of love of four friends, including two ex-footballers, an engineer and Aléxandre de Malet Roquefort, the gentleman who poured the wine for us at Wellspring's recent Hong Kong trade tasting. 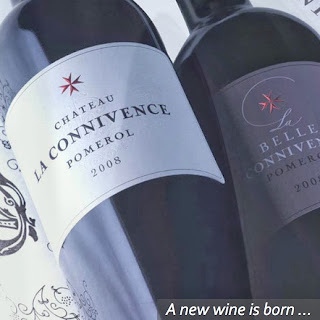 I was tasting some whites with Eddie from Cru Magazine when we were urged to try La Connivence, a red from Pomerol, on the other side of the room first, as it would not be available for long. We duly did so and were thankful for it. There were four wines, from 2008, the first vintage, to 2011. All were left over (about 1/5 of the bottle) from its launch dinner the previous evening, but despite the condition they were not disappointing at all. I liked their elegance, even though the alcohol level was up around 14%-14.5%. The 2010 was my favourite with good concentration and firm acidity. My comment to Aléxandre was that the wine was not at all Parker-like. He gleamed, obviously enjoying the comment. Although vinification of La Connivence uses all the latest gadgets, including a blower to shoo away bad berries, Aléxandre insists it is the soil that gives the wine its identity and which therefore should be respected. Aléxandre also runs Chateau La Gaffeliere in St Emilion, a family winery with 17 generations of history. Both St Emilion and Pomerol are Merlot dominated but Pomerol is more delicate, more feminine and more sensitive, according to Aléxandre. This assertion was clearly reflected in the wine as we also tried his La Gaffeliere for comparison. Aléxandre explained that La Connivence means ‘little secret’, and the wine is the little secret among the four friends. With only one hectare of land, a maximum of 3,000 bottles production, and an allocation of only ten 6-bottle cases plus a few large formats for Hong Kong, wine lovers will certainly want to keep it a little secret. Google translates Connivence more literally as connivance or conspiracy ... which perhaps is more true! Both La Connivance and La Gaffeliere are available from Wellspring Wines.